Hands on video of the new NW-A50 from Phileweb. The video is in Japanese so if anyone is able to translate anything important, please leave a comment below. Looks pretty darn good! I wonder why no wifi again... BT receiver but no wifi? The wifi receiver function already existed in the mediatek 6625 chip but not sure if anything else was needed extra hardware wise or if Sony just needed to add some additional software. In a 6625L spec sheet, it lists BT, wifi (2.4/5ghz), GPS and FM support. The wifi is 802.11 a/ b/g/n, although the spec sheet only says 4.1 BT, I feel the 6625LN has BT 4.2, since this is the BT version on the A30/A40. I feel adding wifi while a nice addition would require additional testing for wifi which would require more work and add more complexity to the device. Instead I feel adding BT 5.0 would be the better option and improving the output of the device. Thanks for the detailed explanation. I would bet that Wi-Fi would increase, even if only slightly, production costs. And I think that by abandoning Wi-Fi from the WM-1 and A series on, Sony tried to differentiate these devices a bit more from smartphones. The official argument was that less radio waves means less interference and, thus, better sound. But I tend to think that it was a commercial strategy more than a decision based on technical grounds. While I much prefer high quality self-owned music files, I think that streaming might well become the main way of getting music in some areas of the world where it's become very hard to find decent catalogues in physical media and digital stores don't offer their full catalogues. So I find it rather hard to justify paying the hefty prices Sony usually asks for its admittedly high quality devices. I'm sticking to my ZX2 for the time but when the time for a change comes, I don't see myself buying a mid or high end device without proper streaming capabilities. BT receiver is a poor substitute for WiFi in this regard, as it demands using another source which typically will be a smartphone, thereby depriving the Walkman of the advantages related to not having to use the phone (saving battery and memory I have the phone, among others). 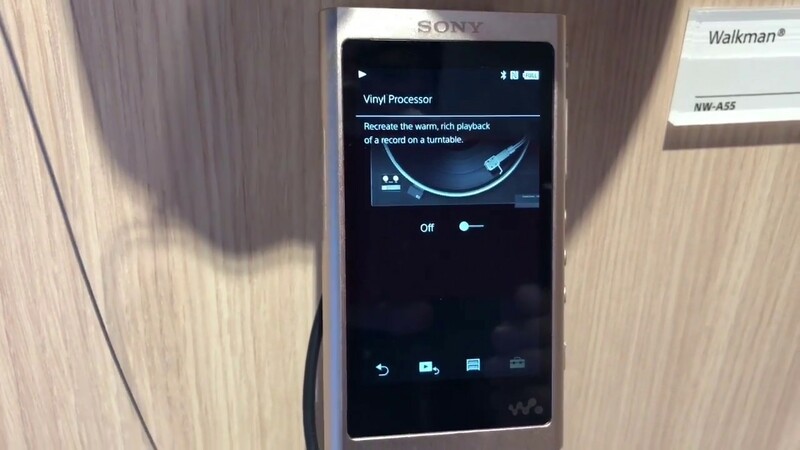 I really wish Sony add streaming service applications like Spotify or Tidal in walkman. Now we have to use the Spotify app on the NW-ZX 1 or 2 that runs Android. It's works well so far, but looking for an upgrade since all the google apps are killing the memory space. on sony asia website, you can see all the specs for sony A50. just in case if you dont know or anyone.